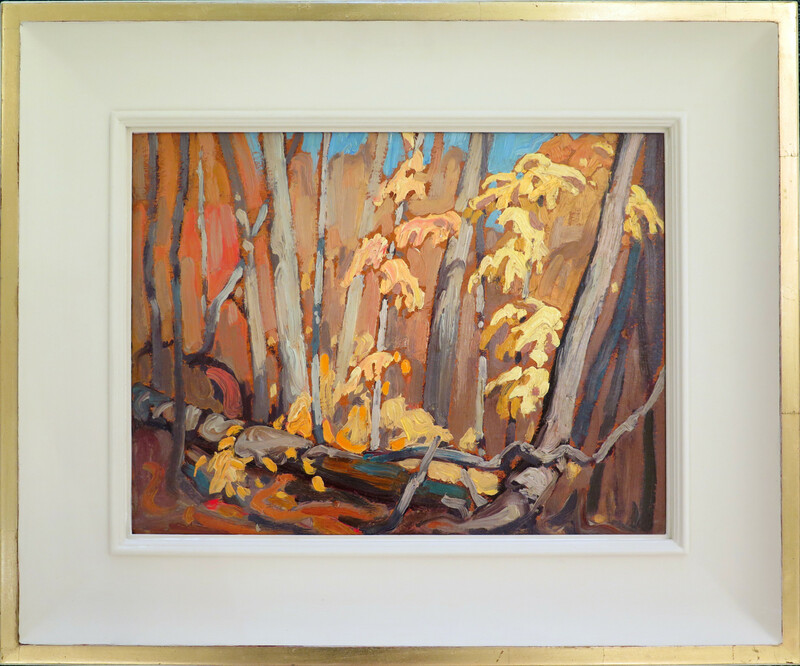 Harris painted a large number of oil sketches on these Algoma trips that bear witness to the variety of responses to the region's varying landscapes, lights and colours. 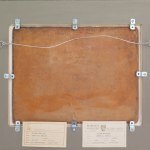 The three Algoma sketches in this collection [Lawren Harris & Canadian Masters, Alan Klinkhoff Gallery, April 2017] all differ in colour, light and mood. 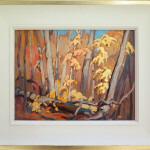 Hubert (Algoma Sketch) of 1918 is characterized by a structured solemnity, Algoma (Beaver Swamp) by a sombre coolness, while Algoma Sketch XLIII is a splash of autumn colour. The dense foliage is framed by the two larger tree trunks that are illuminated by a play of light and shadow, while the dramatically brushed greens, pinks, reds and yellows surround the stolid dark fir in the centre. Rich, blue sky pierces the dense foliage upper right and left. The subject and the density of the composition recall Tom Thomson's sketches of wood interiors of 1915-1916 but painted with a more animated and spontaneous brush. It is a hymn of praise to the colour and light of the northern autumn landscape. 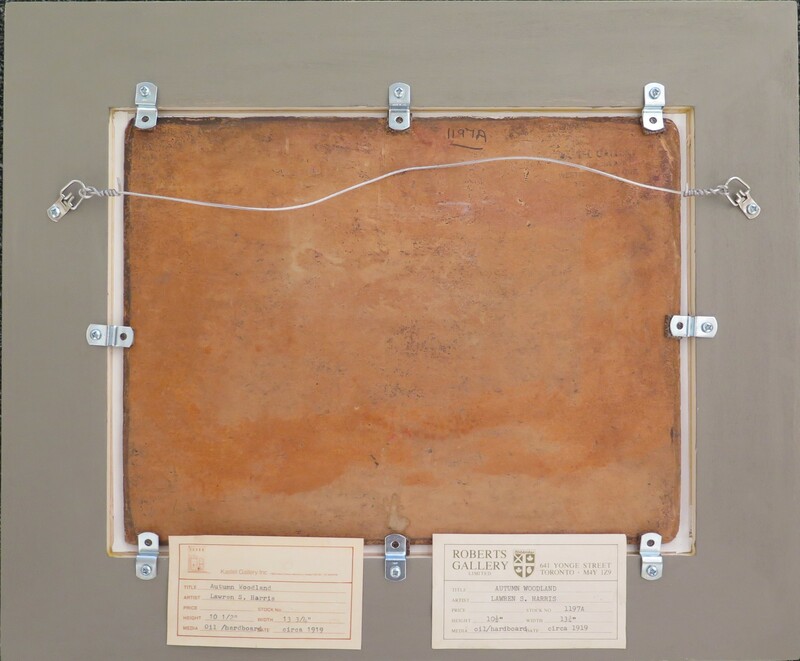 Harris infrequently titled his oil sketches and rarely dated them. 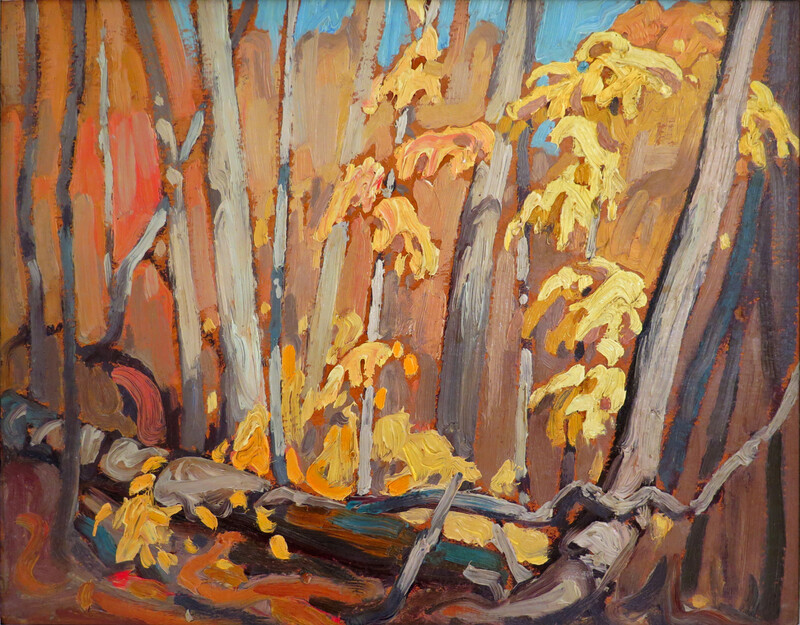 This work could be one of the several Wood Interiors or Autumn Woods, Algoma he exhibited in the early 1920s. 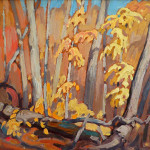 Yet these numerous studies of wood interiors were only worked up into one canvas, Autumn, Algoma of 1920 in the collection of Victoria College at the University of Toronto, his preference being for more austere and open compositions. [....]"